At Seattle Maritime Attorneys, we have extensive experience standing up for the rights of injured tug and barge workers throughout the Pacific Northwest. John Merriam is one of our attorneys. He understands what it's like to work on the water, having worked as merchant seaman for 12 years. In addition to on-the-job experience, our attorneys have been practicing maritime law for more than 50 years combined. Let us take care of your legal issues so you can focus on getting back on your feet. We have the experience to resolve your maritime injury claims. Call us or visit our contact page to schedule a free initial consultation with a skilled tug boat injury lawyer at one of our offices in Seattle or Bellevue, Washington. What Are You Entitled to When You Suffer a Tug Boat Injury? What many tug boat and barge workers don't realize is that they are entitled to damages under the Jones Act as well as maintenance and cure, the same benefits available to other types of seamen. If you've suffered a tug boat injury, you could be entitled to compensation for lost wages, diminished earning capacity, pain and suffering. You are entitled to a safe place to work, and when that is not provided you may even be entitled to compensation above what is in your union contract. 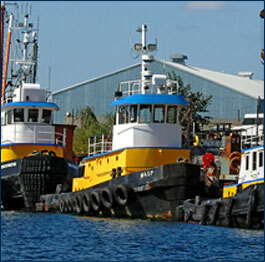 Working excessive hours, or with heavy equipment or repetitive motions are all contributors to tow boat injuries. When employers fail to safeguard workers against these conditions, they need to be held accountable. To discuss your situation with an experienced tug boat injury lawyer, call our Seattle office at 206.729.5252, our Bellevue office at 425.454.3800, or visit our contact page.